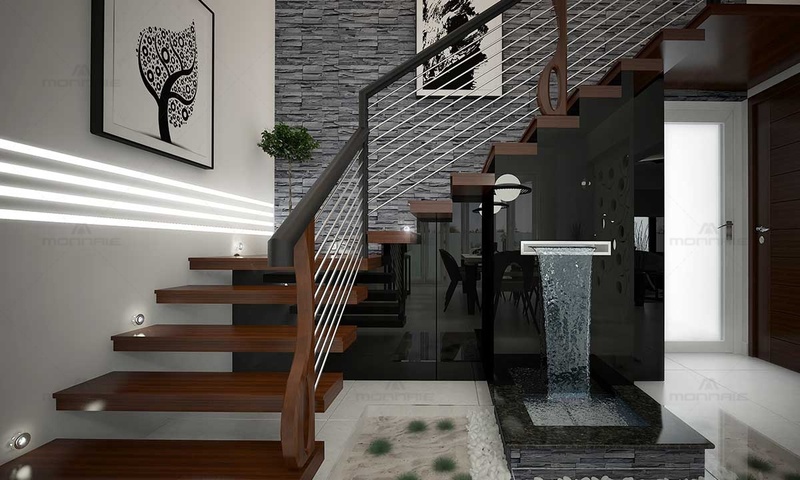 Exploring our ways into the next generation of style, this futuristic home interior decor portrays a fusion of minimalism with a dash of subtle sophistication. 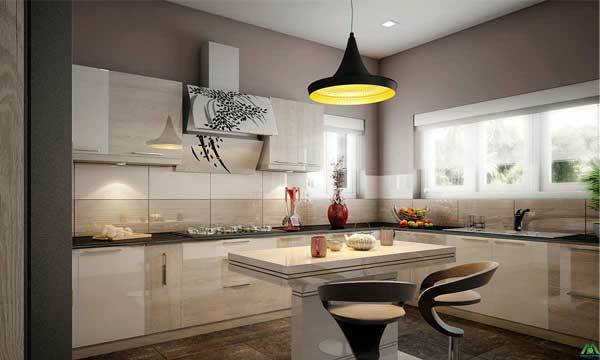 The glossy texture of the interior furnishings are complimented by the use of black and grey shades of planilaque glass. 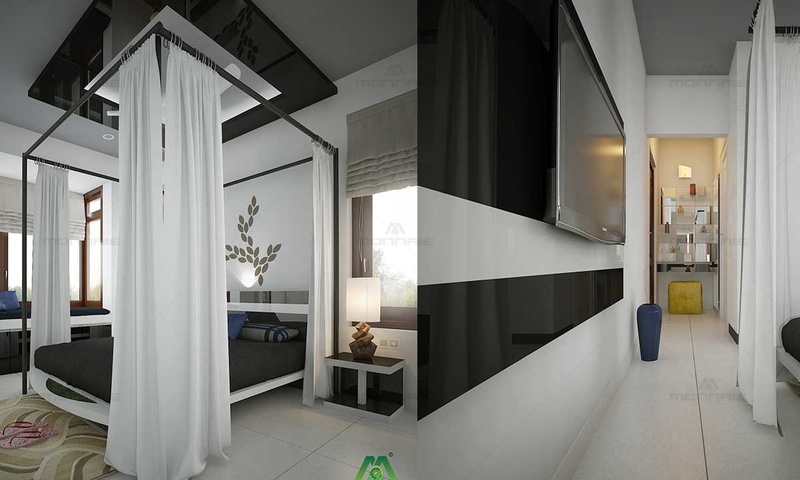 The black and white colour scheme plays and important role in giving the interior its futuristic guise. 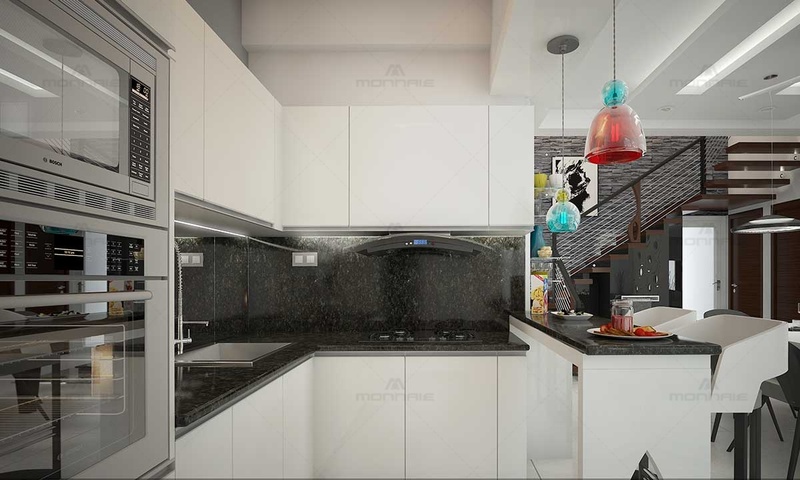 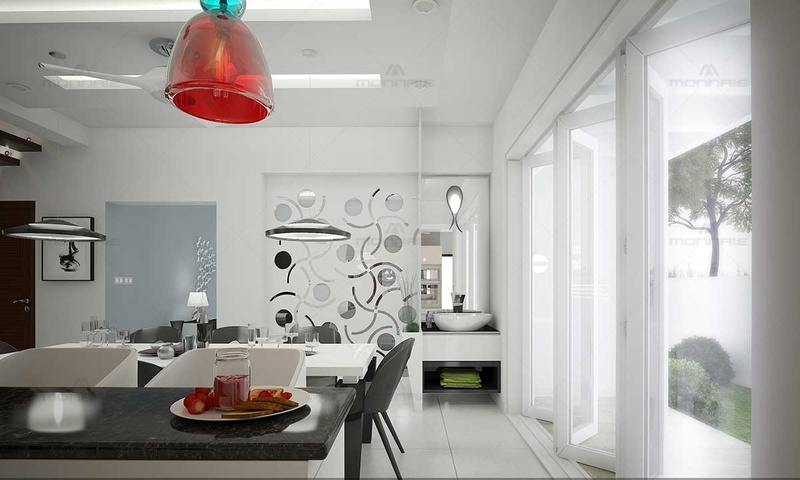 The open kitchen and the foldable glass door to the patio ensures maximum daylight penetration and increases the openness of the interior spaces. 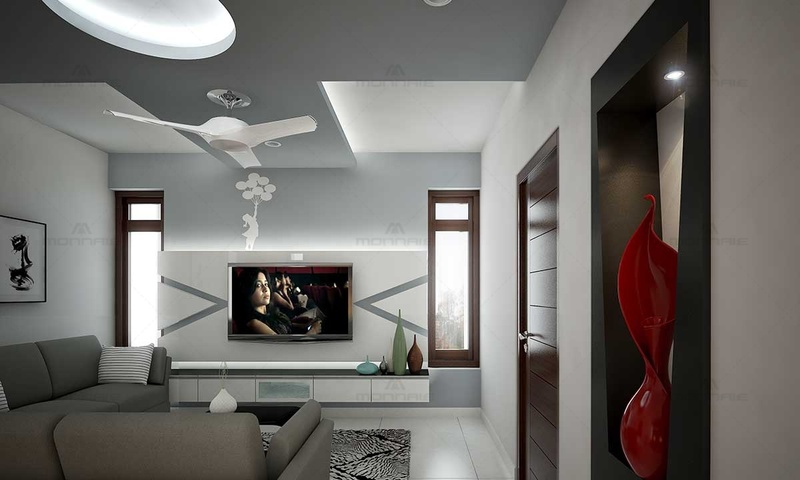 Decorative CNC partition and a simple false ceiling design together creates a clean and smooth interior. 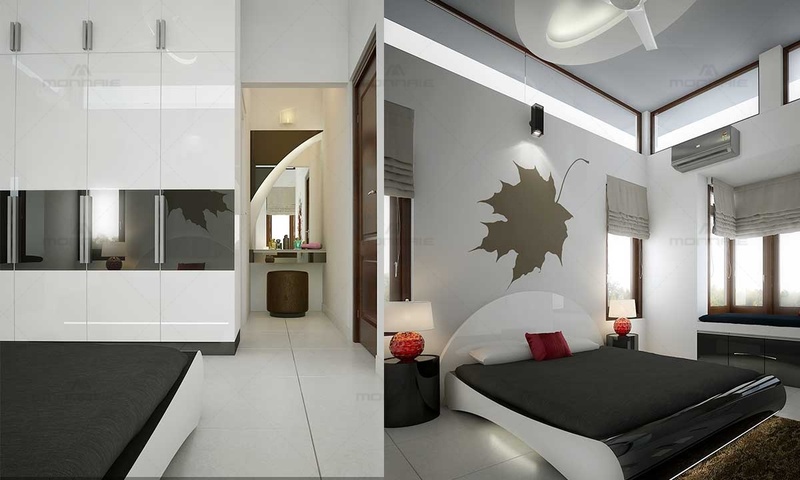 The addition of fixed glass ventilators in the bedroom increases the quality of spaces. 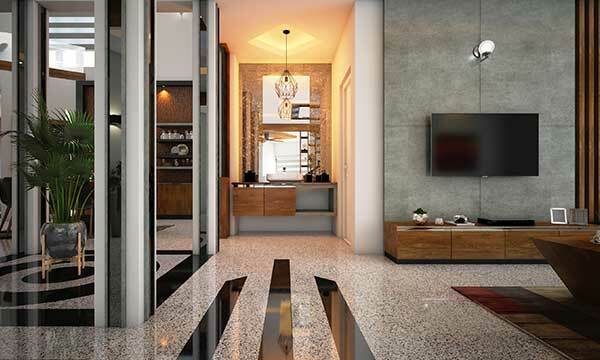 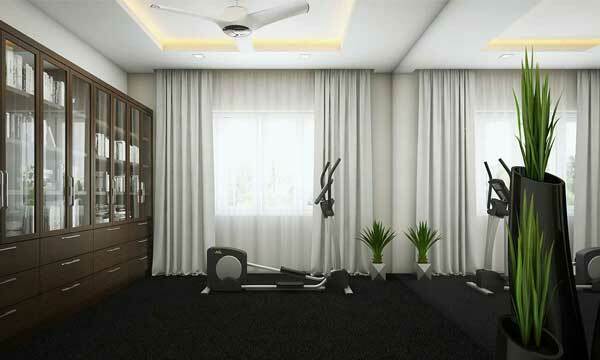 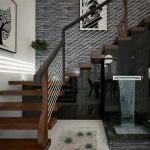 As one of the top interior designers in Thrissur, Kerala, we ensure quality products customised to the given space and in line with the style employed. 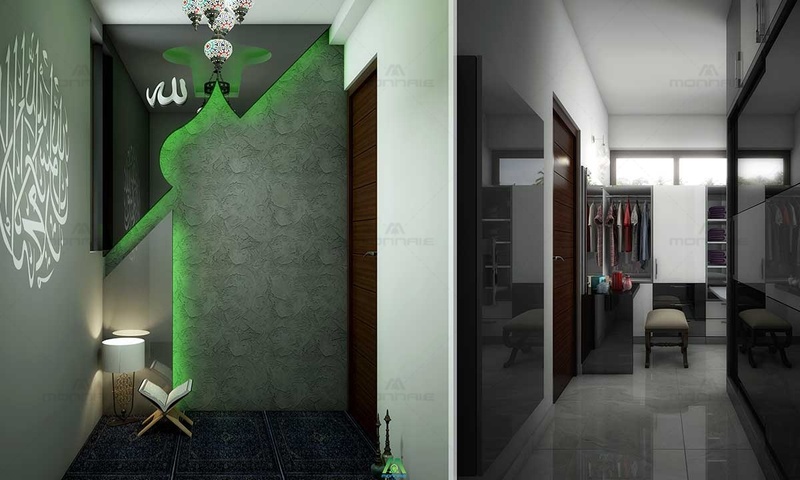 The pray area is designed with an Arabic touch by incorporating customised handpicked accessories but at the same time complying with the whole concept.